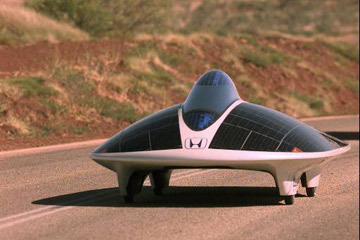 The solar vehicle concept, although not new, has evolved greatly. It has taken us a long time to get to where we are now with things, and the future is looking great! These innovative solar technologies are now starting to reach longer distances on a charge, and look more like the vehicle systems they are trying to replace – not UFOs with wheels! Believe it or not, but the first solar powered car was invented in the 1950s. It was a tiny 15-inch vehicle created by William G. Cobb of General Motors. This innovation was called the "Sunmobile", and Cobb showcased the first solar car at the Chicago Powerama convention on August 31, 1955. The solar car was made up 12 selenium photovoltaic cells and a small Pooley electric motor turning a pulley which in turn rotated the rear wheel shaft. Fast forward 60+ years and you have companies like Hanergy, a Chinese based solar panel manufacture, that are using thin-film solar modules to create “zero-charge” cars. 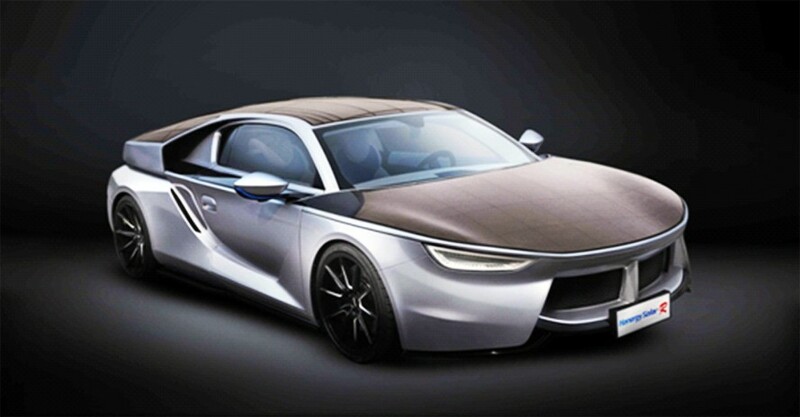 Hanergy showcased four concept cars recently – the Solar R the Solar O, Solar L, and Solar A. Image of the Hanergy Solar R "zero-charge" concept vehicle. Hanergy, says that their solar panels can draw eight to ten kilowatt-hours of power from five to six hours of sunlight – just about enough for 50 miles of driving range. This is due to the 38 to 81 square feet of solar panels covering each car's body. Hanergy claims that their solar film has a conversion rate of 31.6 percent; which is record breaking if it turns out to be true. These concept vehicles all have on-board lithium-ion batteries like any other EV. This allows them to use conventional charging stations, and gives them a total range on a full battery of 217 miles. As for speed, according to the Guinness Book of World Records, the fastest speed attained by a solar-powered vehicle is 91.332 km/h (56.75 mph) and was achieved by Kenjiro Shinozuka (Japan), who drove Ashiya University's Sky Ace TIGA at Shimojishima Airport, in Miyakojima, Okinawa, Japan, on 20 August 2014. I know that this is all epic information, but what about an affordable solar car for the everyday person? Engineers over at Sono Motors say that their solar car - SION, is for everyone. They even started an Indiegogo campaign to help make the project a reality (You can back them here). Cars are not the only transportation systems being outfitted with photovoltaic cells. Transportation systems like: trains, motorcycles, and even boats are innovating within this space. The worlds largest solar ship. 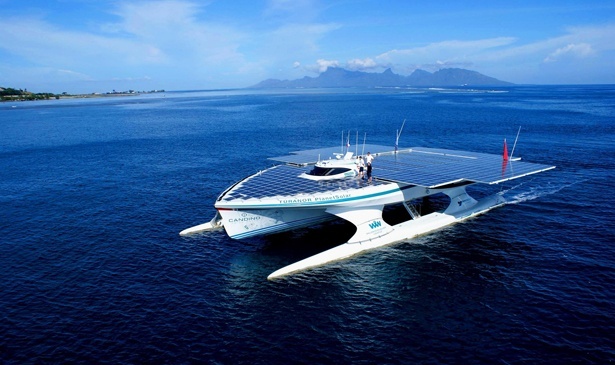 Turanor PlanetSolar's ship is powered only by 38,000 SunPower solar cells and travels around the world.